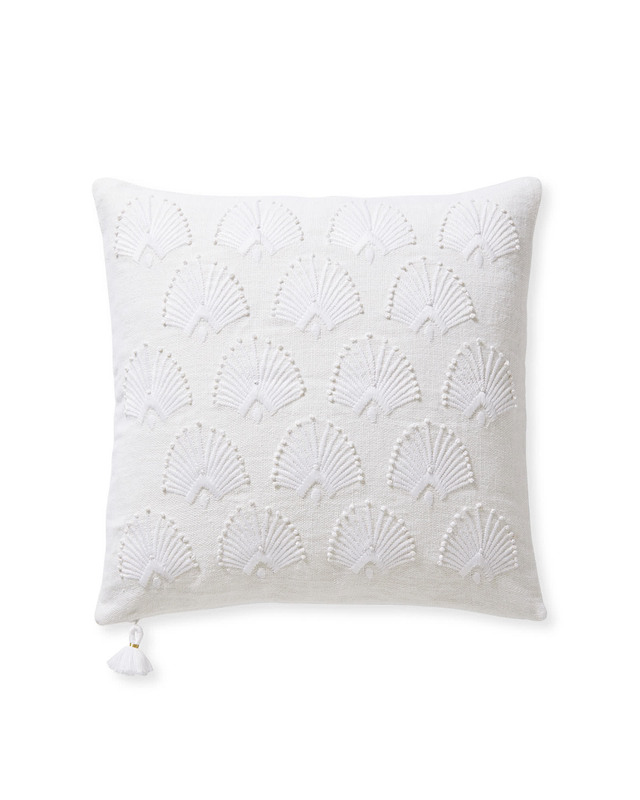 Monarch Pillow CoverMonarch Pillow Cover, White alt="Monarch Pillow Cover, White"
Print This pillow is all about texture, from the hand-embroidered French knots to the linen base. Layer in more pattern in a complementary hue for a lively look. Or use it as a bold contrast to quieter solid tones. Tassels add just the right amount of attitude. 100% linen with 100% cotton embroidery and lining. Hand-embroidered French knots on the front and solid on reverse. Wrapped tassels decorate the corners. 12” x 18” or 22”SQ.